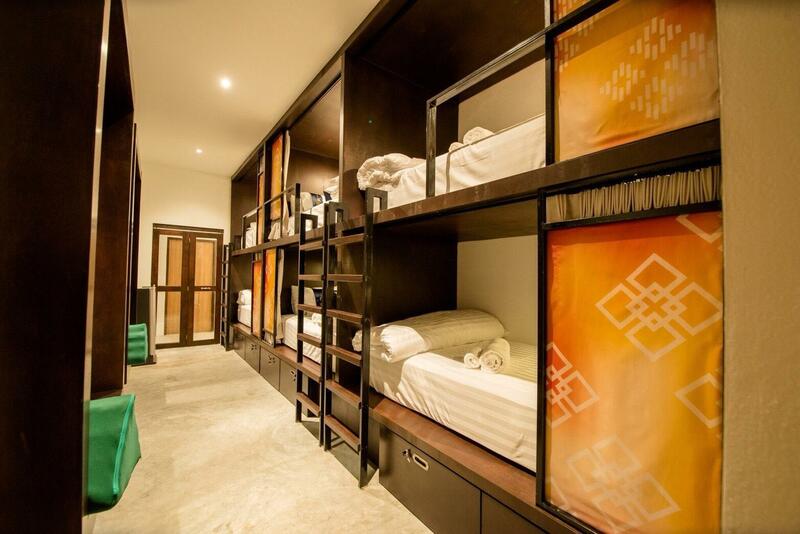 "We booked a dormitory room for 6 and it is huge and clean." "The staffs are SUPER helpful." "Definitely recommend and come back next time." "The beds are big and comfy." Built in 2018, PAH. 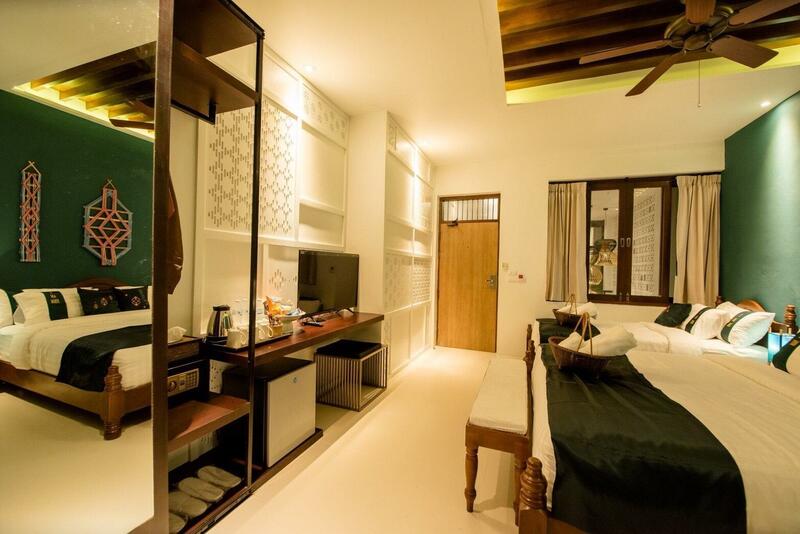 is a distinct addition to Chiang Rai and a smart choice for travelers. Only 0.2 km from the city center, the property's strategic location ensures that guests can quickly and easily reach many local points of interest. With its convenient location, the property offers easy access to the city's must-see destinations. The facilities and services provided by PAH. ensure a pleasant stay for guests. 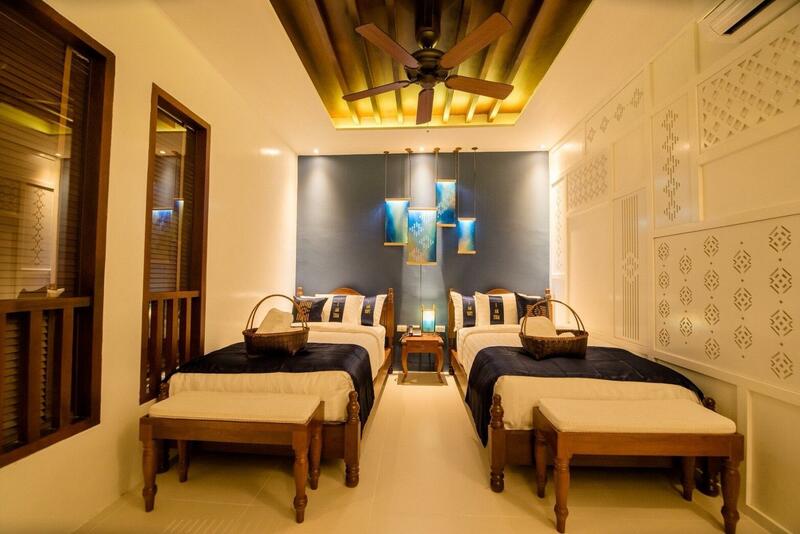 For the comfort and convenience of guests, the property offers free Wi-Fi in all rooms, 24-hour security, daily housekeeping, taxi service, kitchen. 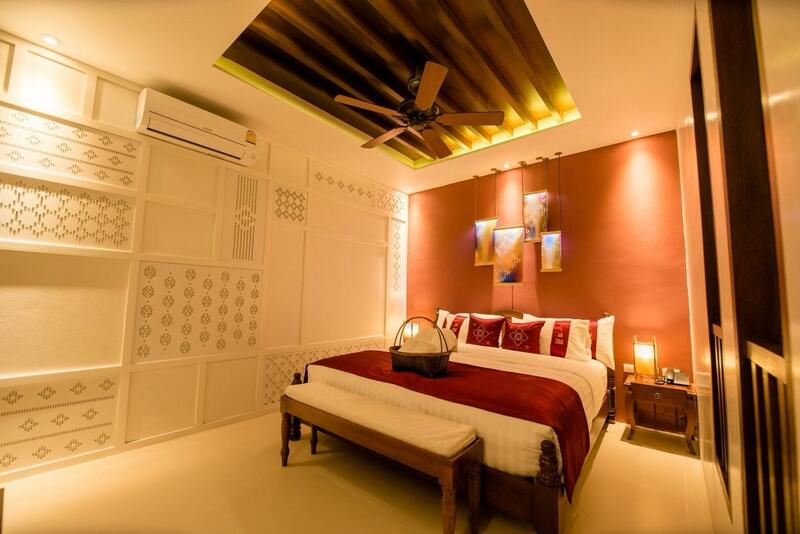 Guests can choose from 10 rooms, all of which exude an atmosphere of total peace and harmony. The property offers many unique recreational opportunities such as indoor pool. PAH. is your one-stop destination for quality accommodation in Chiang Rai. Best location. Walking distance from night market and spas. Clean. Spacious. Welcome staff. Great deal of money. Small hotel and room but quite big size bathroom with bathtub. Kids enjoy with mini swimming pool, even its very small but comply with safe and brought lots of fun enough. All stuffs loaded in room minibar are all free!! Including 2 cans of beer and can also enjoy with chilled fresh fruits sliced and prepared ready for self serve along with juices, yogurt, tea, and coffee all day long ***** near swimming pool. Parking on the road side in front of hotel if it vacant, parking lots located walking distance from hotel. I spent six nights at PAH (Peace and Happiness) with my wife and 5 month-old baby daughter. We loved it. Beautiful room. Great service. Good breakfast. Fresh fruit and juice everyday. Complimentary minibar with beer, soda, noodles, chips, renewed everyday. Free laundering service. Free shuttle service. Small but fun pool. Amazing staff. Located in the heart of Chiang Rai. Highly recommended. location is great, close to clock tower and night bazaar. lots of restaurant around the corner. bed is very comfy but only some smell in the toilet. Mini bar is free and 24 hours drinks available at the lobby for free! recommended! We loved this little hotel for many reasons! First was the location- in the center of Chiang Rai and in easy walking distance of many restaurants, shopping, etc. Only 1/2 block from the Saturday walking street and 10 minutes or so walk to the Sunday night walking Street. Our room was very clean and beautifully decorated with a comfy bed and a choice of firm or soft pillows and a large bathroom. The 24 hr snack and coffee bar in the lobby was a hit, as well as the snack tray and well stocked mini fridge in the room (all free stuff including soft drinks and beer) Many other small amenities were provided (including robes)that many hotels simply overlook. The staff was very helpful and spoke fluent English. Our breakfasts were made to order and were served promptly. There were many food choices available. I only gave the hotel 4 stars on the facility because the pool at the entrance was so small. It is large enough for a kiddie pool or to take a quick plunge to cool off, but not really a place to hang out for some sun or to have a drink . We will definitely stay at this hotel again when we return to Chiang Rai! Good location within walking distance of a bus station and the clock tower. Facility clean, nice sized rooms, good wi fi. Free snacks a nice touch. Staff particularly helpful - drove us to the more distant bus station and helped us to get a ticket. Somewhat higher price than similar hotels in small cities in Thailand. Absolutely loved this place- free mini bar in room (including some beers) and free fruit snack, juice yoghurts and more throughout the stay. Close to clock tower and walking distance from night bazaar with kids. Just note the pool is tiny, but still good enough for outlet kids to cool off in after a day exploring. We loved the authentic boutique hotel with a higher (international) standard than the average thai hotel. Excellent good quality of beds, modern bathroom, free minibar (was actually great!) and a fridge open with foods and beverage at any time of the day, included in hotelprice. Childfriendly hotel. Not expensive at all when taken all above into account. We booked a dormitory room for 6 and it is huge and clean. The beds are big and comfy. Mini bar both at the lobby and in the room are free of charge. The staffs are SUPER helpful. When our car ran out of battery, the staffs help us find a car to jump battery. Really impressed and had a very great time here. Definitely recommend and come back next time. Very beautifully decorated, staff service was excellent and location is like 10 mins walk to the town. Highly recommend! 정말 만족스러운 숙소였습니다. 태국 여행 중 제일 만족했네요. 작은 숙소지만 깨끗하고 직원분들, 사장님 모두 친절하셨구요. 조식도 좋았구요. 기본적으로 미니바도 전부 무료 제공되서 진짜 좋았어요! 딱 하나 아쉬운건 수압이 약했다는거... 그리고 개미 몇 마리 보인거? 근데 어딜가나 벌레 보였는데 개미 몇 마리 정돈 아무것도 아니였어요! 그만큼 만족한 숙소였습니다. 수영장은 기대하지마시구요ㅎ 그 외에는 전부 만족입니다ㅎ 추천합니다!!!! !